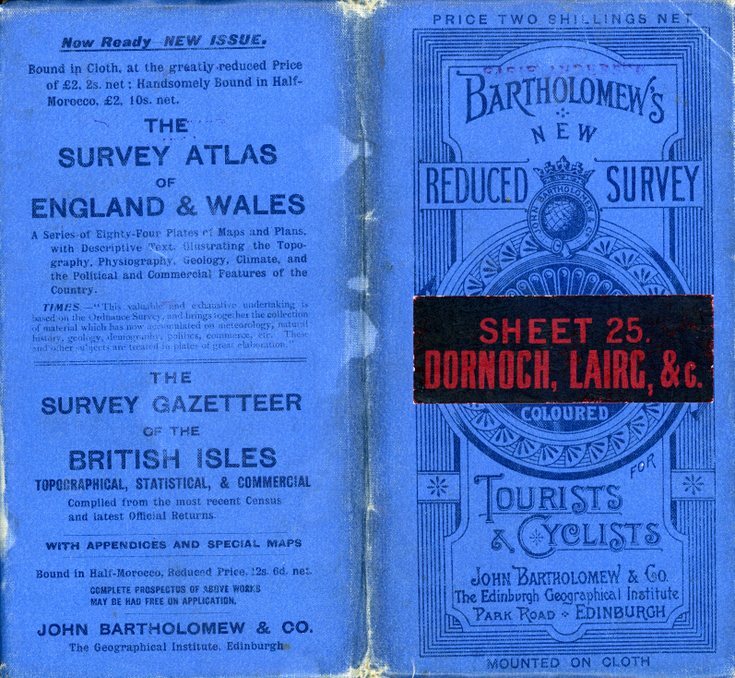 Bartholomew's half inch to the mile map of Scotland sheet 25, 'Dornoch, Lairg, &c.'. Reduced by permission from the Ordnance Survey. Price on cloth 2/-. The map measures '20 x 25 inches'. In colour with 3 horizontal folds and 6 vertical folds. Published by John Bartholomew and Co. The cover is blue linen. The sheet number and area are printed in red on a black sticker on the cover of the map.